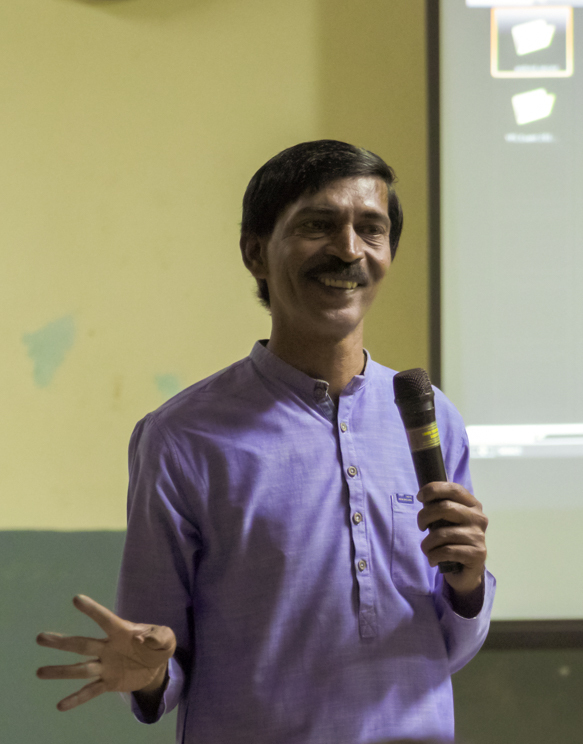 Shri.Nanda Kumar began his presentation by explaining his early days as to how his interest in photography has sparked in school days only and was greatly influenced by the black and portrayal by Shri.Puttana Kanagal, Cine Director. He got hooked to photography form those days only and got fascinated by the 3D Movie Chota Chetan. 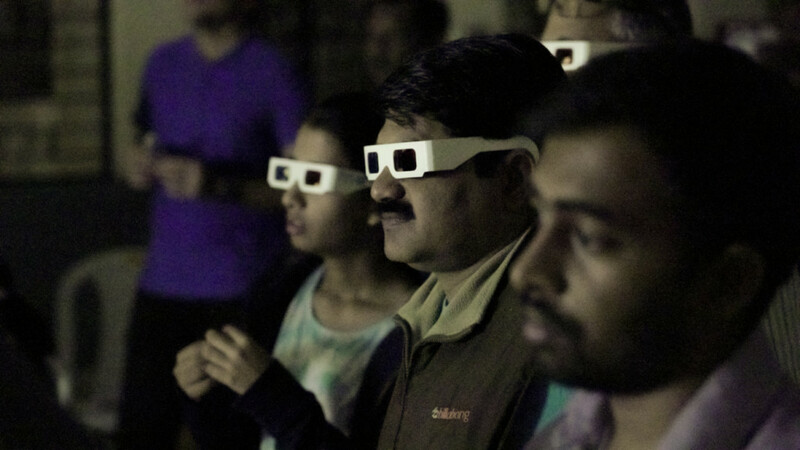 While re-collecting those memories, he mentioned that once he secreted himself in a toilet of a theatre and went behind the screen to check as to whether they are doing anything back-screen to give that 3D experience to the viewers. 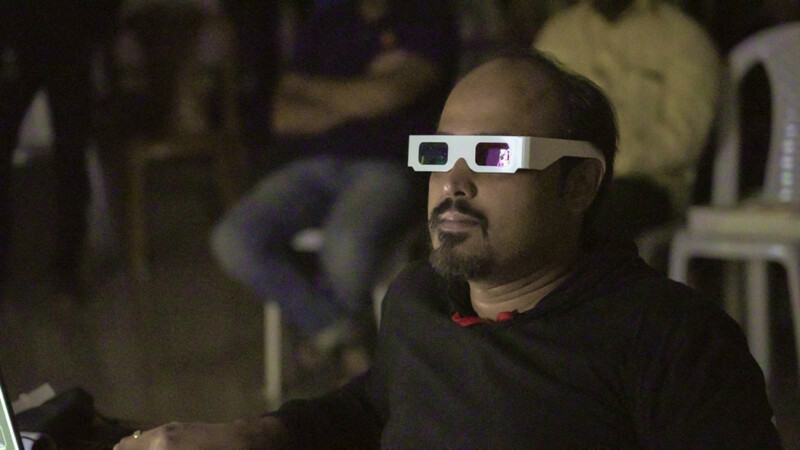 Later, he met the technicians of the movie to understand how they had the movie in 3D effect. 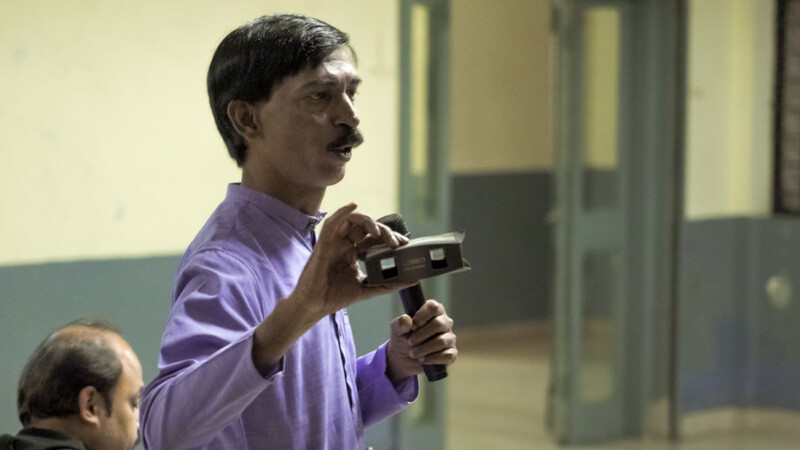 He explained the pains taken by him in searching various sources to learn about 3D photography, before he was able to make his own camera set up. It was very interesting to hear him that he had taken classes from an Eye Specialist to know as to how human eye forms an image and is able to see. The fact that there is something called left eye image and right eye image was a revelation, members experienced the same when he asked us to check out to see our own finger from left eye and right eye by closing the other and realised that we see different images and that only with the combination of vision from both the eyes we are able to see what we actually see. He researched on this technique and understood that by using two cameras he can create an image which our eyes can see in 3 Dimension. His next pursuit was how to do this, this story was also very interesting, he divulged the details which in turn revealed his passion towards photography and the perseverance he had towards his passion. The difficulty he faced in triggering the two cameras at a time to capture the image at exactly the same moment was another challenge as he had no gadgets then do it. He had approached many camera technicians to create something to create a parallel triggering mechanism but faced their ire who mocked at him for asking this weird thing. Finally after much research and pains he created a camera set-up by using two cameras of same model manufactured in same batch to get similar result. The point that he had to place the two lenses at exactly the same distance as our eyes are apart was another revelation and showed how serious he was about his passion. With his camera set up being ready he started experimenting with it and mentioned that Shri. 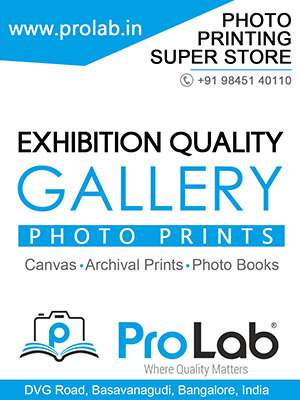 Kadiri Gopalnathan showed interest in his photography when he showed him his work and that created opportunities for him to capture all major musicians across India. He exhibited his various pictures captured at different events like birthdays, marriage etc., as well monuments. He also explained as to how he got the opportunity to cover Mahamasthakabhisheka 2018 and he happily shared that his 100 selected pictures will be showcased in an exclusive permanent gallery being created at Shravanabelagola. 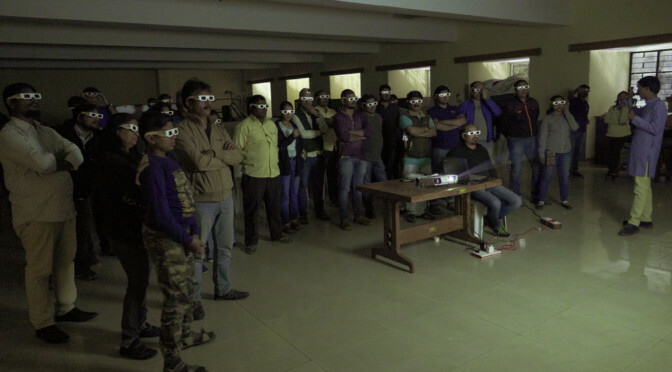 The moment he started exhibiting his photo creations in 3D by distributing special glasses to view them, am sure everyone got mesmerised by each of his images. Especially the images of Mahamasthakabhisheka were magnificent and out of world experience, truly the effort he had put all these years has culminated in some wonderful creations. He was very gracious to share the technique he created with the members and he also answered various queries put to him by them. Totally, members had a wonderful evening witnessing some great images created by him using his own camera setup as well technique evolved after many years of struggle. One Big Salute to him on behalf of all members of YPS. Shri .Manju Vikas Sastry V, Secretary, YPS thanked him for having come down to YPS and giving members an opportunity to see his work and listen to him. He also presented a memento in token of gratitude on behalf of YPS. Shri .Manju Vikas Sastry V, Secretary, YPS thanked him for having come down to YPS and giving members an opportunity to see his work and listen to him. 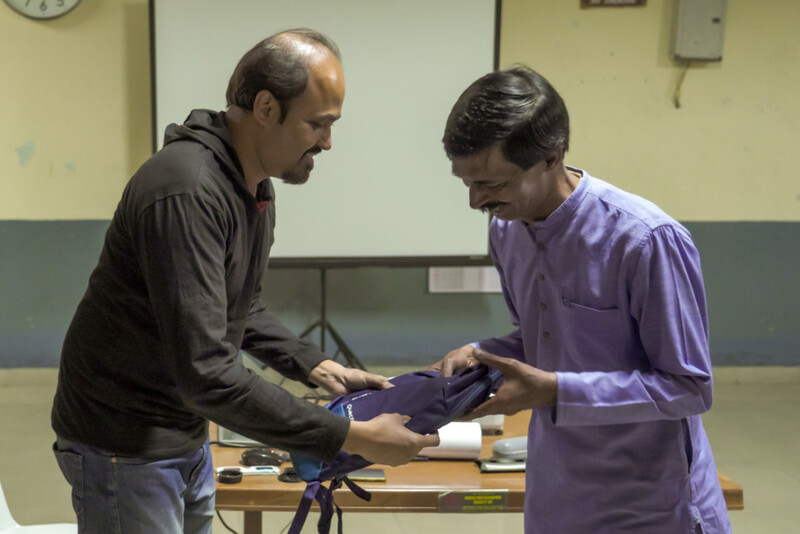 He also presented a memento in token of gratitude on behalf of YPS.